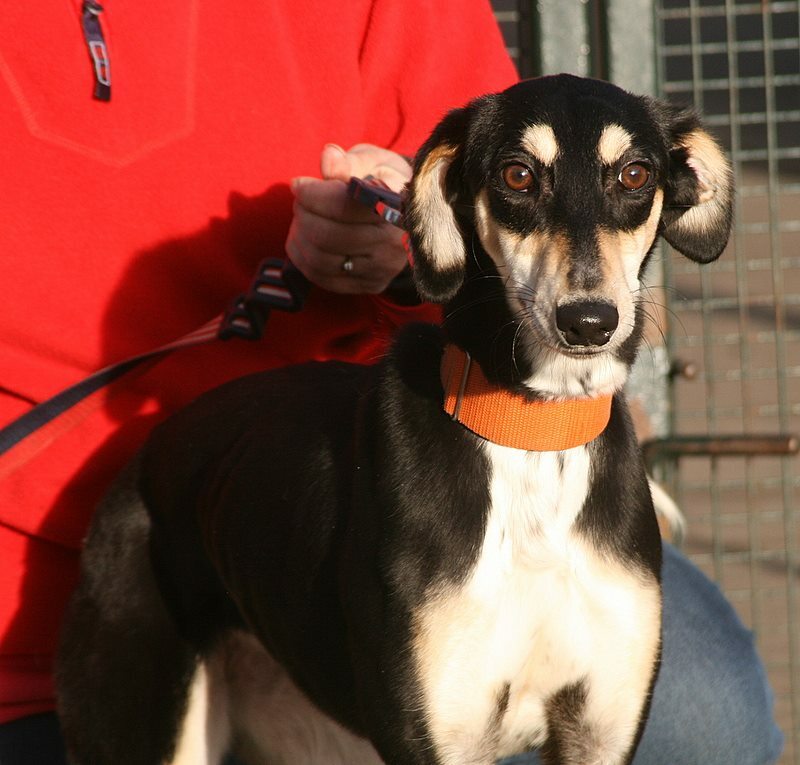 RESERVED - Daisie, a young silly, saluki x whippet girl! Her Royal nuttiness is ready to find her new home. 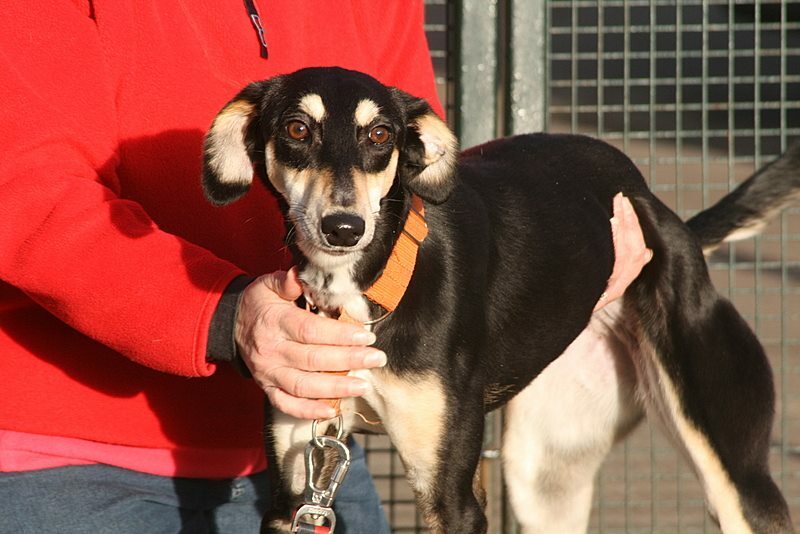 Daisie is a tiny but somewhat livewire of a saluki x whippet girl. 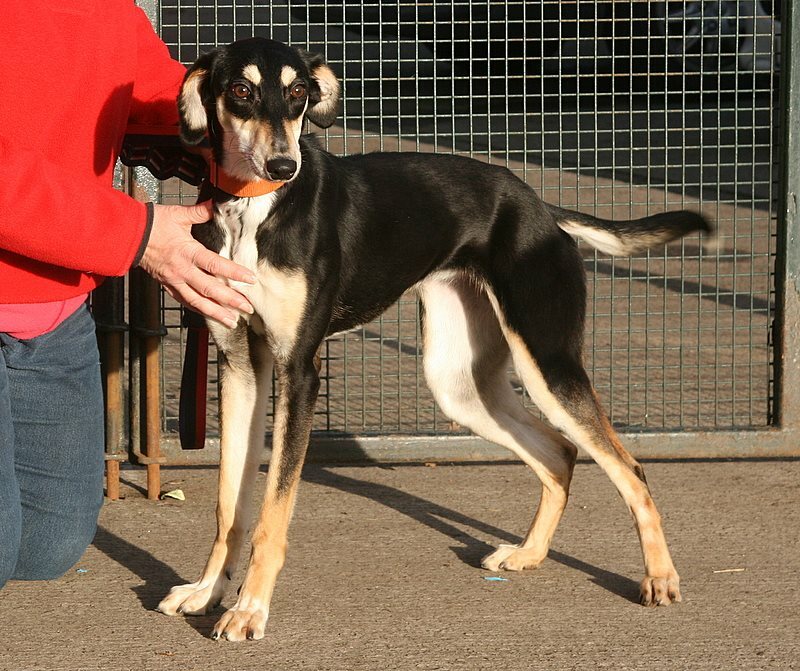 Daisie is the sweetest dog you could ever wish to meet but has an abundance of silliness alongside that! 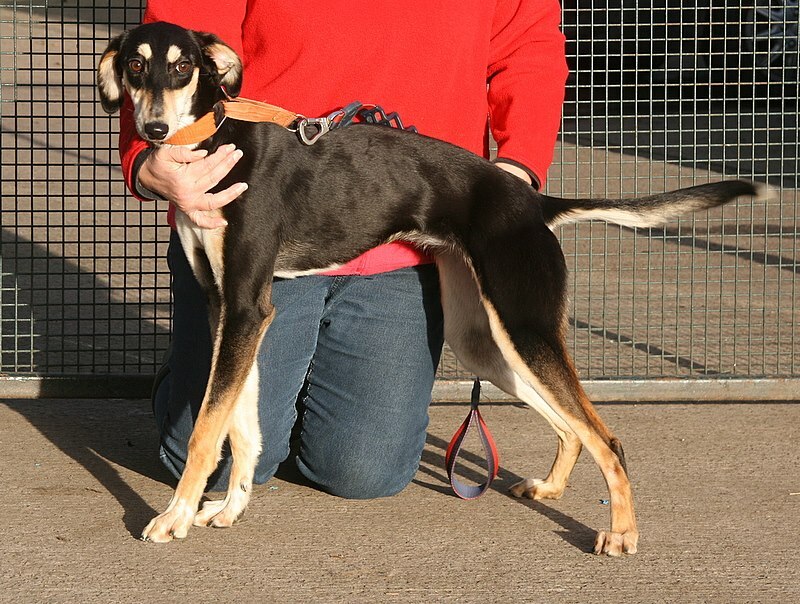 Daisie is going to be the most wonderful little dog for a home willing to put some time and effort into her as she is still only a baby at around 15 months old. 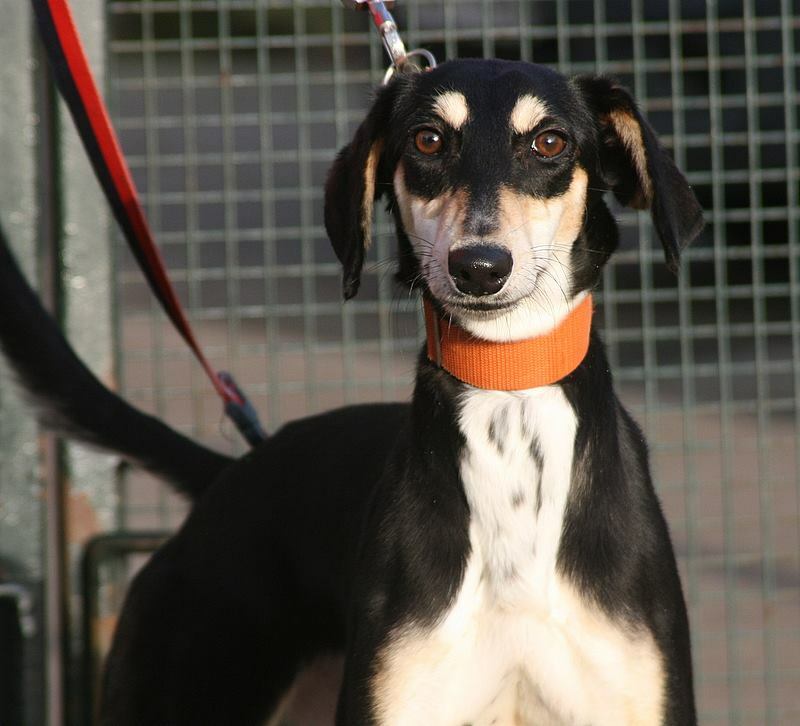 Daisie adores dogs, she adores people, she adores food, she adores toys, she just about adores everything and we will also be taking her for a cat test at somepoint in the near future as we feel with a cat that stands its ground she may well be cat workable in an experienced home. 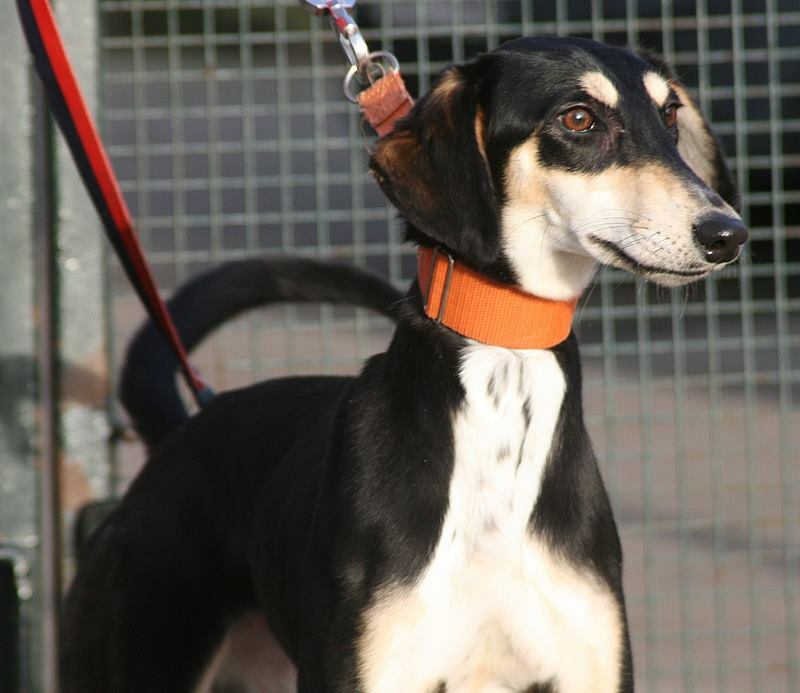 Daisie will be fine to live with sensible children 5 years and up as long as they are calm enough not to encourage her silly behaviour and listen to their parents instructions, if not they will probably get a paw in their mouth! 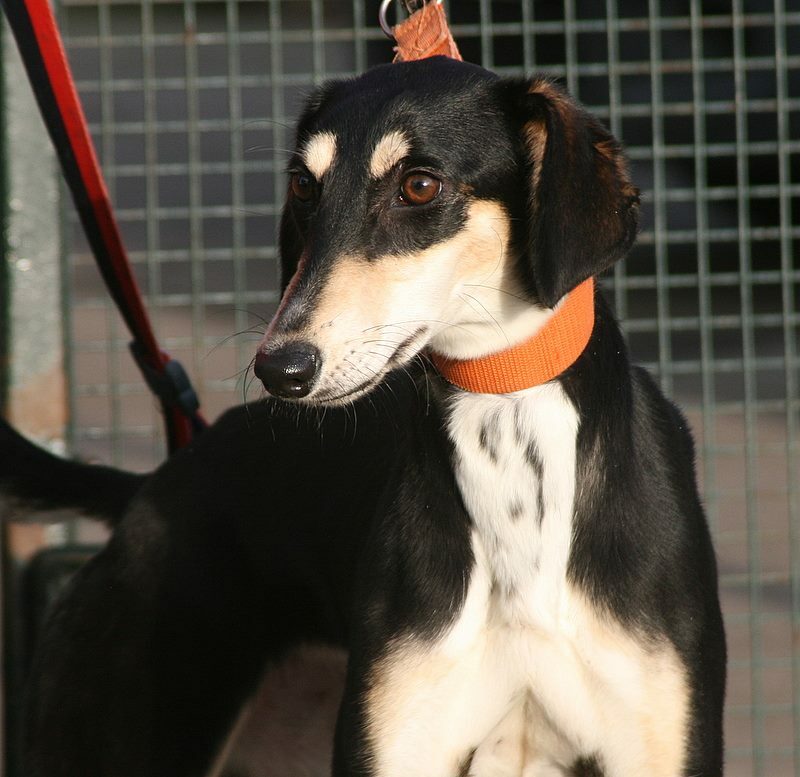 We feel Daisie will benefit the most either from a home with resident dogs or a home where someone is around all or most of the time to begin with and who will work with us to build up her confidence being left. 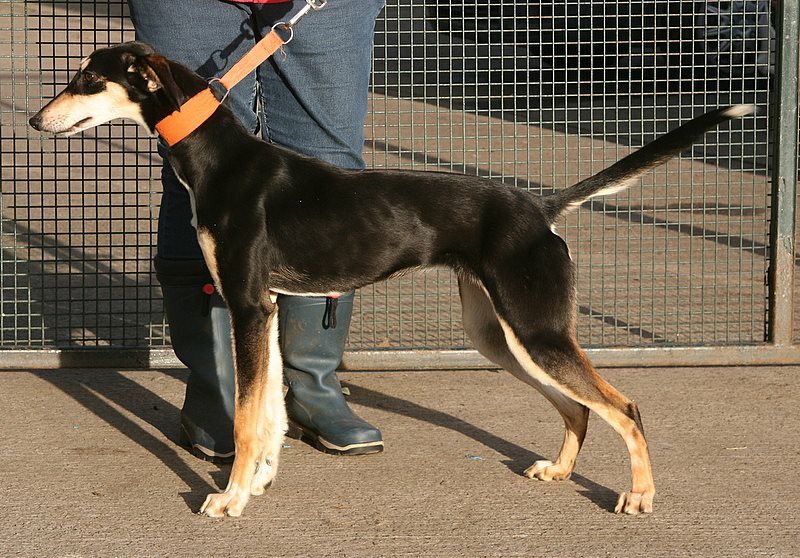 Daisie is quite good in her kennel but being a youngster left behind by travellers she will need some help and time investing in her housetraining routine. 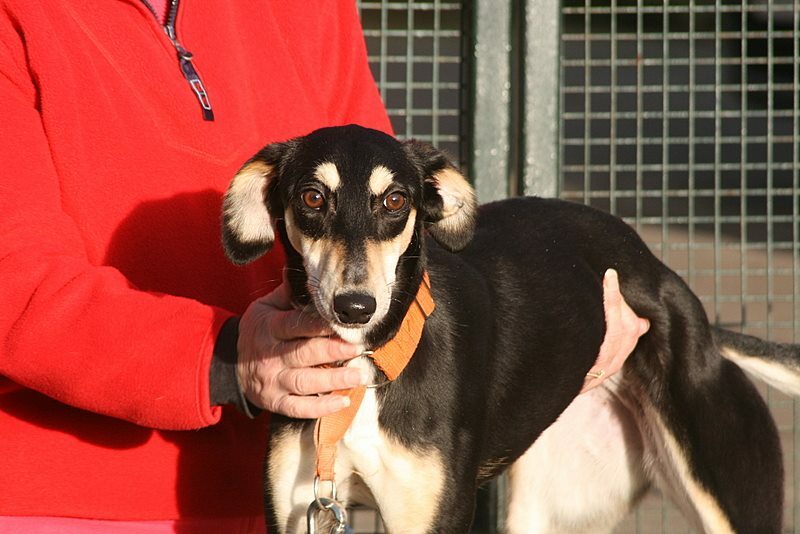 Daisie is vaccinated, kc vaccinated, de flead, de wormed, microchipped, spayed and has received a dental. She is currently located in Stoke on Trent. If you are interested in offering a home to a Greyhound Gap dog please complete the pre adoption questionnaire below in the first instance. Please note... all homevisits will be carried out with an open mind by our volunteers and homes will be matched to the most suitable dogs in our care. 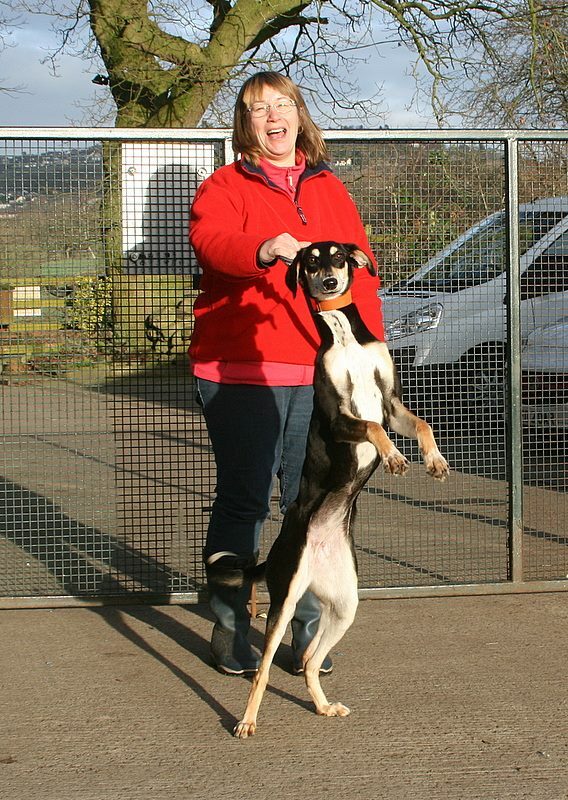 All our dogs can be rehomed nationwide subject to a successful homevisit and all members of the immediate family being willing to travel with any current resident dogs.